How many times have you had an image file and thought I would love that to be an SVG but did not know how to do it? I am sure you have read comments on Facebook telling you how easy it is to do, but you do not know where to start! So what types of files can you convert? The three main file formats people want to convert are GIF to SVG, JPG to SVG and PNG to SVG. JPEG stands for “Joint Photographic Experts Group.” JPEG is a popular image commonly used by digital cameras to store images. GIF stands for “Graphics Interchange Format.” GIF is an image file format used for images on the web. Finally, PNG is a highly compressed file which is of a higher quality. You will find that 90% of converters are free online which makes them easy to use. All you need is an internet connection. You then have to upload the image you want to convert and just press a button and hey presto you have your own SVG. Some images convert better than others, and some online converters give you some options which will enable you to get a cleaner image and ultimately make it more cuttable. You also have the option of importing your image into Inkscape and cleaning it up that way. This can be very important. Smaller file size will not give you a clear image so the bigger the file size, the better quality the SVG will be in the end. Once the image is converted to an SVG, you will not loose quality however large you make your file. There are so many programs out there to use I could not list them all, but I am going to give you just a few to start you off. Remember if you want more Google is your best friend. This is a conversion that’s not often used, but when I need this, I use my favorite converter which is https://convertio.co/. This not only converts all the usual graphic formats but also converts sound, video and much more. The free plan lets you do a certain amount of files every day but I use the paid plan which gives you unlimited conversions, and they are of high quality so if you convert a lot of files I highly recommend this one. 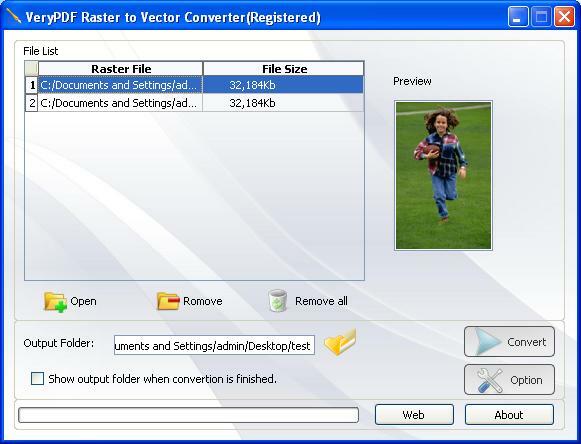 To summarize there are plenty of free converters out there if you use common files like JPEG PNG files etc. but if you convert a large number of files, I would recommend something like Convertio’s paid subscription.